At Stonegate Estates, we pride ourselves in providing sound, consistent advice and support to ensure the best price for your property and a move that suits your individual circumstances and timescale. When you talk to us about property you’ll soon discover the difference and appreciate the benefits of dealing with an Independent Estate Agency, as we offer a flexible and highly personalised service that embraces the maximum exposure of your property, generating genuine enquiries - often within hours of receiving your instruction. 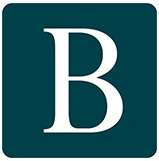 With our high profile town centre office in Hitchin and associated offices in Woburn, Bedford and Rushden, Stonegate Estates provides a complete service covering a broad range of property activities, including Residential Sales and Lettings and at our associated office in Bedford a specialist land department. Our continual success has been established on the firm foundations of personal recommendations and referrals from past clients and business associates. It is our intention to maintain and develop this reputation for integrity and quality, making Stonegate Estates the preferred place to do business when dealing with property.